Whether launched on weekends at fairgrounds or over the 4th of July, firework displays are a universal way to celebrate the joys of summer. But the Consumer Product Safety Commission is strongly urging enthusiasts to keep fireworks displays to those who are trained to use them. Consumer fireworks are a multibillion dollar industry, typically purchased in the summer months when the weather is nice and outdoor gatherings are common. All too often, however, backyard spectaculars have turned into disasters, with more than 11,100 Americans seriously injured in 2016 after mishandling fireworks, CPSC reported. In addition to being injury hazards – typically resulting in burns, typically to the hands or face – fireworks can lead to accidental fires. In the average year, 40 percent of structure fires reported to safety officials on the Independence Day holiday derive from fireworks, according to the National Fire Protection Association. On an annual basis, fireworks cause an estimated total of 18,500 fires, approximately 1,300 of them structural in nature and 300 affecting motor vehicles. All told, fireworks are responsible for roughly $43 million in property damage in the average year. Even something as seemingly innocuous as sparklers can be hazardous, warned Lorraine Carli, NFPA’s vice president of outreach and advocacy. Because they can burn at around 1,200 degrees Fahrenheit, sparklers coming into contact with virtually anything is a recipe for disaster. Fireworks showcases happen all throughout the summer and in just about every state. They’re of course most common on Independence Day, but they may be weekly events, depending on where you live. Just 6 percent of fireworks-related injuries nationwide in 2014 happened at public events, according to the NFPA. 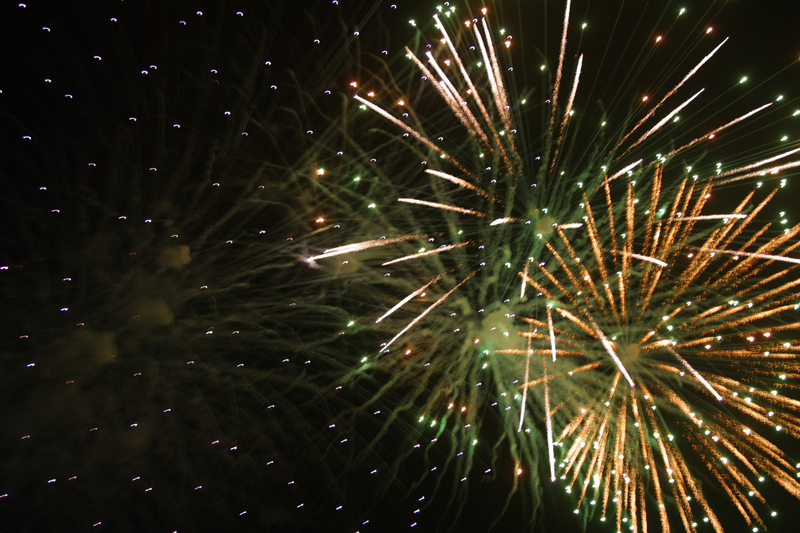 Aside from being common sense, public fireworks displays may be your only option because so many states prohibit consumers from purchasing them for private use. According to the American Pyrotechnics Association, only 16 states permit the sale of consumer fireworks, one of which is Oregon. However, there’s an extremely limited number that are allowable. For example, in Portland, sky rockets, mortars, firecrackers – both large and small – bottle rockets, roman candles and cherry bombs are unauthorized. Only six are deemed safe to use, and they primarily produce smoke. Wood-core sparklers are legal in Oregon, but safety officials strongly caution that they only be used under adult supervision. According to the most recent CPSC statistics, a majority of the injuries experienced by children under 5 years of age in 2015 originated from sparklers. The NFPA has several free downloadable documents at its website for additional tips and recommendations. Here at PayneWest Insurance, we hope everyone has a happy, safe summer all season long and advise policyholders to update their homeowner’s insurance coverage in order to keep their personal belongings protected from losses, both weather and accident related.